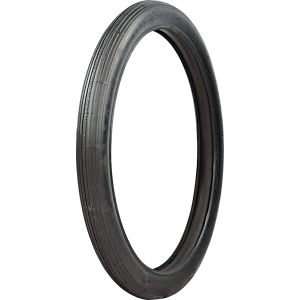 The US Rubber tire is an excellent 28 " by 2 antique cycle tire from the worlds leading supplier of collector tires and wheels. The tire is in all black rubber and features authentic tread design and sidewall markings making this a great choice for restored or surviving cycles. Contact a Tire Expert for assistance with antique cycle tires or tubes.